Stall speed lowered 15 kts. Far better control and handling at 10 kt slower landing speed. An analysis of the effect of Stolspeed VGs on a 601 HDS wing. First of all is a big thank you to Viktor in Switzerland for these videos and his work on this topic. Viktor is a very enthusiastic and experienced HDS flier, and a curious and dedicated experimenter. He’s meticulous in his work, and understands what he’s doing. He got his first Stolspeed VGs in August 2007, and after testing them has become a very strong supporter, leading to many conversions in Europe. Now every 601 HDS owner needs to pay close attention to these demonstrated results. Following is an analysis of the images and the features that need to be noted. 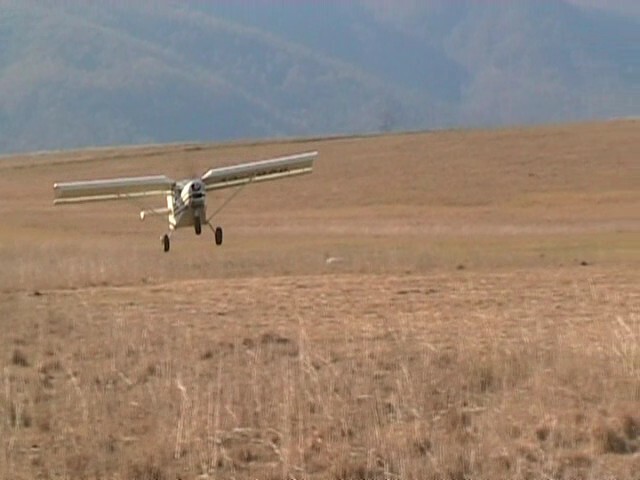 The first video was done with VGs only on the OUTER portion of the wing. 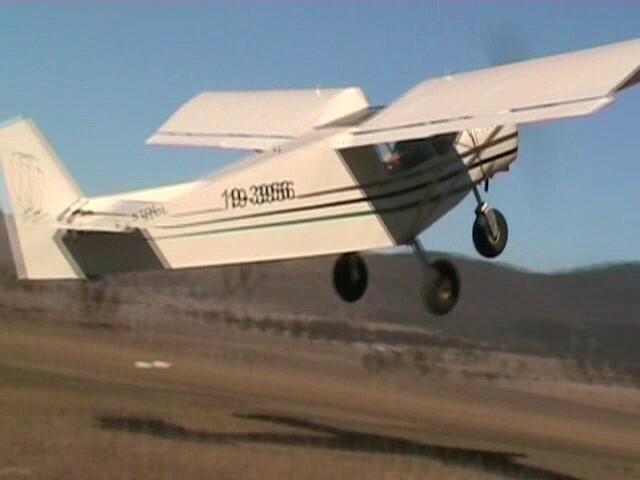 Notice that outer portion of the wing, behind the VGs, doesn’t stall at all, and the airflow remains attached and smooth. Notice that the inner portion of the wing, without VGs, stalls suddenly and the disruption immediately spreads over the whole portion. But note that the disruption doesn’t spread to the portion of the wing behind the VGs. Stall speed was 45kts in this configuration. Before the VGs were installed, at 51kts the stall flashed right out to the wingtip and the wing dropped dramatically. The second video was done with VGs on ALL of the wing. Notice that wing now flies at a much higher angle of attack, and you can hear the pilot calling the indicated air speed ....35.... 35.... , while the airflow over the wing stays attached and steady. Notice that when the turbulence finally does trigger a stall, the disruption is confined to just the root of the wing and then dissipates immediately and doesn’t spread to the rest of the wing area. That's a tremendous improvement! This video dramatically demonstrates how it is that VGs give the soft, gentle stall that makes landings so much easier! Imagine you are flaring for a landing and are still a bit too high when the wing stalls. Wouldn’t you rather have the stall start by just ‘nibbling’ at the root rather than suddenly stalling most of the wing at once??? Settle on gently rather than come down with a thump!! Then, when it comes to the very last of the hold-off, it sure is good to be able to pull that very high angle of attack, and settle on with the nose way high, at a much slower speed than without the VGs. As Viktor has said, it turns his HDS into a STOL aircraft! To be able to pull such a high angle of attack at such a low air speed, the horizontal tail will probably also need VGs to give assistance. 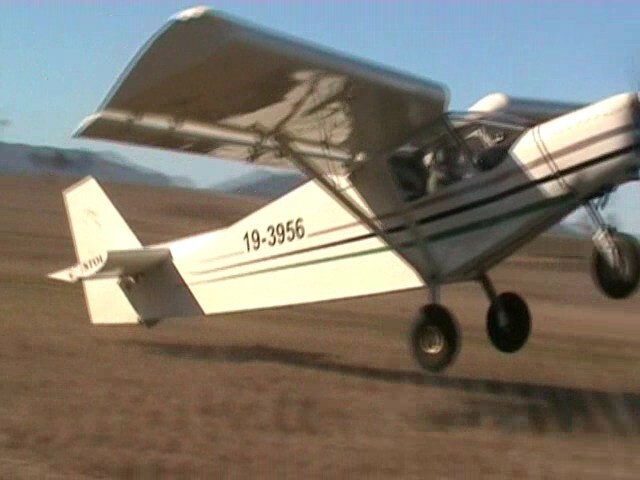 Notice that in both videos the airflow over the aileron is steady and smooth, and despite the low speed, there’s still aileron authority to handle the considerable turbulence on that day. 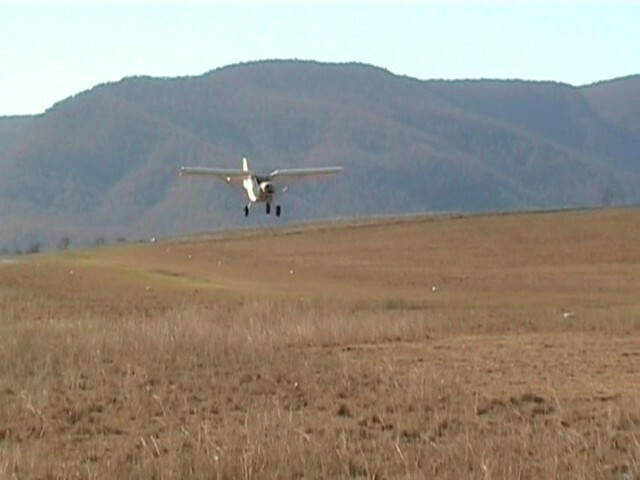 Notice that even when the portion without VGs stalls, the nose doesn’t drop suddenly – just an increasing ‘mush’ which is easily and quickly checked by easing the stick and it’s flying again, with no sudden loss of altitude. There’s an old rule of thumb that’s not far off the fact – “...when a full stall occurs, the nose will drop to an angle below the horizon pretty much equal to the angle above the horizon at the stall...”. Then the aircraft has to build up speed to re-attach the airflow This will give up at least a couple of hundred feet of altitude, if not more, before pulling out and stabilizing. 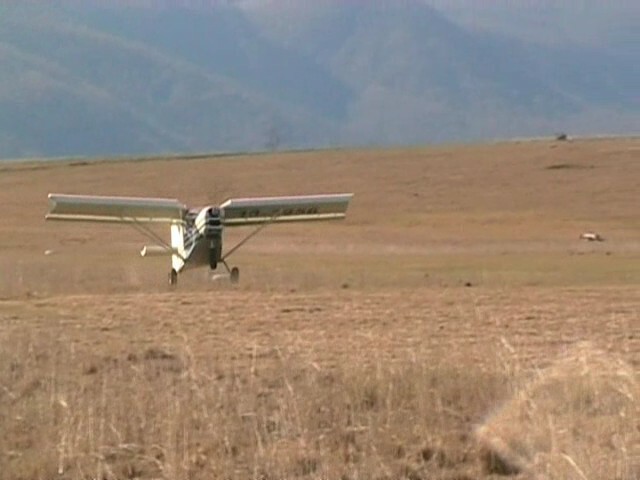 With VGs the nose only has to drop enough for the VGs to get a ‘bite’ again and stabilize the airflow, usually recovered about horizontal, with very little loss of altitude. That’s a critical safety issue if you happen to get too slow at low altitude!! When I got my first VGs all the talk was of lower stall speeds and shorter landings, but it turns out that the most important benefit is SAFETY ! There were also predictions, and they still prevail, that VGs “....wouldn’t make much difference on high-lift wings....” I’m sure glad that despite those predictions, I tried VGs on the 701 wing and discovered that they do make a tremendous difference! Now it seems that they also make a tremendous difference on the HDS wing as well! These aren’t predictions and loose claims, they’re discoveries that are now well proven. Viktor has done considerable work to determine the correct placement of VGs on the HDS wing. Those instructions are at the HDS page. An HDS needs 80 VGs on the main wing and 80 under the horizontal stabilizer. There's been much controversy about the idea of using VGs instead of slats on the Zenith CH701. Finally we have some video to demonstrate real life performance with VGs. The drawings and commentary on the Zenith website http://www.zenithair.com/stolch801/design/slats-vs-vg-design.html predict that climb-out over an obstacle would be degraded with VGs instead of slats, and that with VGs it would require a run in ground effect before climbing away. Our real life experience certainly doesn't confirm this. 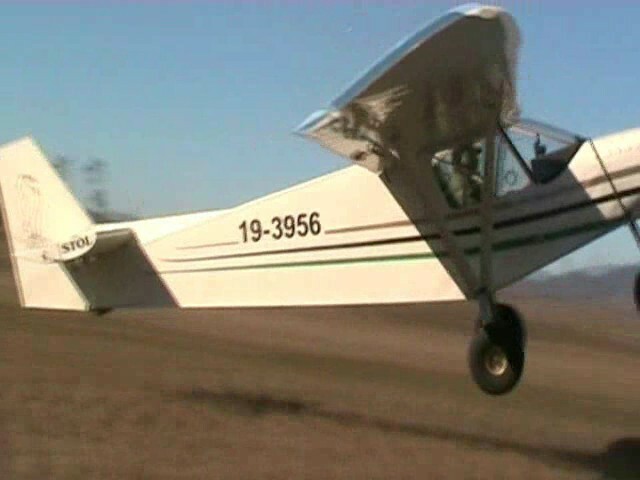 This video demonstrates the actual take-off performance with VGs. All the 701s around here have cut their slats off long ago, so we can’t do comparison videos, but there are plenty on the YouTube so you can make your own comparisons. This performance with VGs pretty much matches the best of those with slats, under the same conditions. 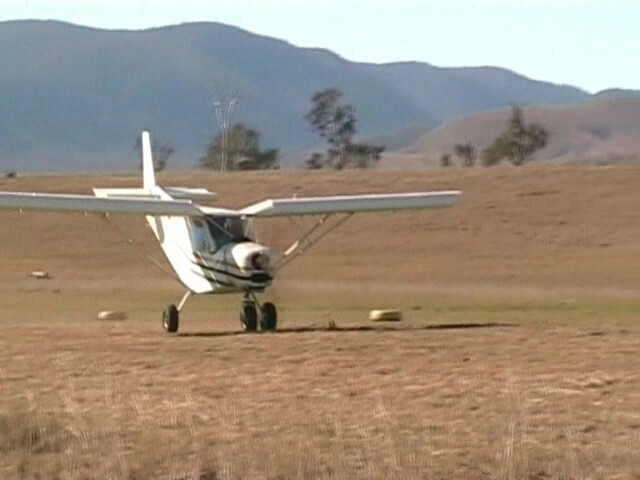 Do keep in mind that the wind speed and temperature during this video was measured and recorded, whereas there is no indication with most of those on YouTube, but in some you can see the grass waving considerably, and in others hear the wind in the microphone..... Also, this was flown in the 'soft' air of warm summer temperature. The lift would be so much better in frigid, or even cool, conditions! The take-off weight was 880 lbs. with Stolspeed VGs instead of slats. >< In the centre photo I measure the upper longeron to be at 20º to the horizontal. The chord line of the wing is about +4º to the longeron, so that’s a remarkable angle of attack! < In the left-hand photo the AoA is even greater, and the wing is not stalled, it’s lifting off and flying. He couldn’t rotate to a higher AoA, even with slats, due to the available tail clearance! > In the right-hand photo he’s already out of ground effect and climbing steeply. It doesn't stay in ground effect any longer than with slats - it just leaps off and climbs away. And this is all with NO FLAPS. Soon after finishing this aircraft Hans had a hard lesson about full flaps. It was his first approach to a short, uphill strip with no room for a go-round. He chose full flap, and still had slats at the time, so horrendous drag. Full flaps and slats together is a bad combination, not just because of the drag but also because the flaps give a forward pitching moment that makes it difficult to pull the high AoA that the slats can give, unless you can carry a lot of power right to touchdown. He pulled the power too early and dropped hard enough to splay the landing gear and damage the structure (not the first time that’s happened to a 701 using full flap and slats...) With passenger, fuel and camping gear he was loaded to 1100lb so the damage was considerable. Since then he’s not used flaps much at all, and as you can see from the video, he certainly doesn’t need them for take-off! In the still photos note the minimal elevator deflection needed to attain that high AoA. This is due to the lack of forward pitching moment from flaps, as well as from VGs placed under the elevator to increase it’s effectiveness (see Tail Feathers). So, with no drag from flaps or slats, and less drag from elevator deflection, it all goes into improved acceleration and climb. And more responsive control of an aerodynamically balanced aircraft rather than ‘fighting’ the pitching moment from the flaps. You can see the results in the video! The first approach, to the touch-and-go, is typical of our normal idle-power approaches. We certainly can descend much steeper than that, and will video such 'hawk-on-a-mouse' aproaches soon. It's so much easier to make gentle touchdowns like this with VGs instead of slats! Take note of the right-hand photo, just about to touch down at idle power, and still able to easily hold the nose up with that minimal elevator deflection. That's due to the effect of VGs under the elevator, ie - Tail Feathers. like you were really right there, and click it onto full screen view on the YouTube. Then sit right back and come for a ride!!! p.s. - To get the full screen view on YouTube, click on the farthest right-hand small ractangular icon below the lower right-hand corner of the screen.